We have been around since 1975. Our customer reviews reflect the empathy and trust our guests have in us. Browse through 200 holiday homes, beach villas and pool houses, which you can book exclusively with us or with our partners, La Sarda GmbH. We have carefully selected up-to-date videos including drone flights to our holiday home locations. Take advantage of booking gaps weekly with "sconto" in the specials section. You can send us a holiday home inquiry or an email. The villa of your dreams can be reserved free of charge for 3 days. You will receive a "best price" offer beforehand. We always advise you personally at +49 89 99953330. Our advisors know each Cove and every house in person. You're looking for the most beautiful holiday home for your budget. 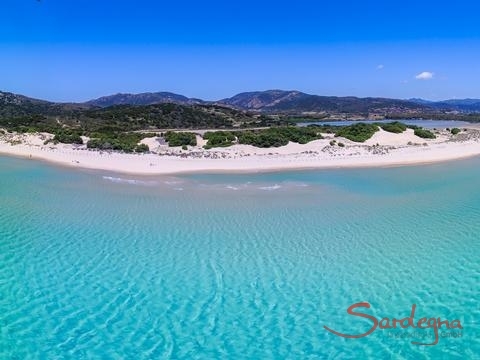 Welcome to Sardinia - our service for you! From Villen Sardinien on Vimeo. Pack your bags and fly away! Bathing season is from May to October. Sixty per cent of our holiday homes are located directly on the sea. From now on we are offering booking gaps at a substantially reduced price - even during the school holidays. Browse and be inspired by the customer reviews of our holiday homes and send us your request as soon as possible to secure your discount. 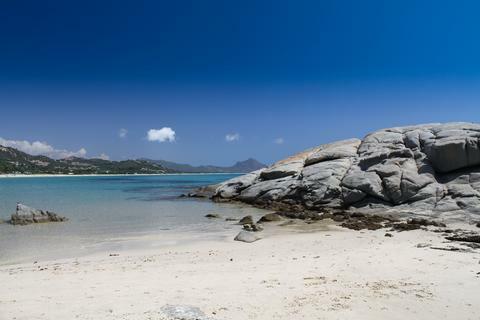 Sandy beaches, bays, rocky peninsulas, mountains and rock formations cut by wind and sand await you. Our holiday villas are ensconsed in the magic of nature. Olive trees, oleander bushes, Hibiscus and Elycrisium decorate the gardens. As soon as you land on the island, the scent of Sardinia's wild herbs and scrub will greet you. And not only that: you can expect many unforgettable sunny days on our island paradise. Beautifully furnished terraces for "outdoor living", living rooms with comfortable seating, well-equipped kitchens and well-kept gardens with palm trees, bougainvilleas and the yellow glowing "Elicriso", which gives the island its distinctive fragrance. Take a look at the houses Villa Palme, Villa Viola, Villa Fiorita, Villetta 12 or Villa Roberta. 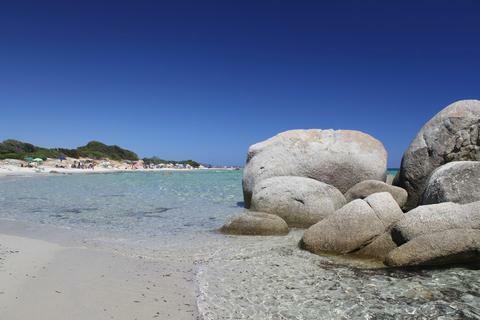 Maybe wanderlust already lures you to visit at Eastertime, when Sardinia already enjoys many warm sunny days. Read customer reviews for Villa Fiori, S.Elmo, Li Conchi, Domus the Pitrizza and Campidano. 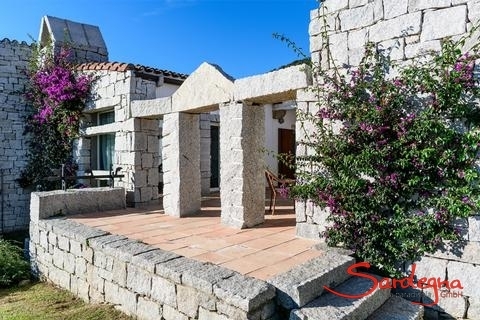 You will be inspired if you are searching for typical Sardinian architecture. 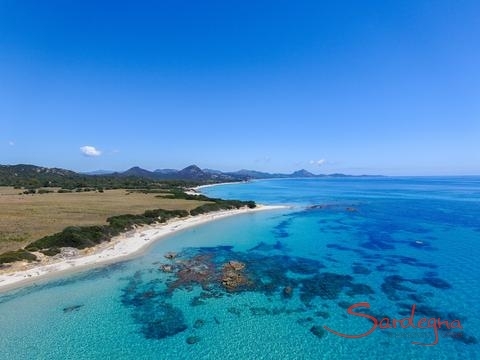 Superbly situated directly on the beach: Cala Liberotto, Villetta Quattro, Villa Gigli and all the houses of "Spiaggia del Riso", only 2 kilometres from Villasimius. Villa Maria Mercedes, Villa Clelia, Villa Eugenia, Villa Kristina, Villa Verena, Villa Cornelia and Villa Giovanna are particularly attractive. No guest can forget the water quality of Sardinia: an early morning swim in mirror-smooth, transparent water is a holiday memory that will remain with you. Experience the glitter of the sea in the morning and the colours shifting from bright turquoise to deep dark blue at noon. We arrange holiday homes directly on this mesmerising, crystal-clear sea. We are gladly here to advise you. Every employee knows our holiday homes personally and can give you information about non-standard details. And what is particularly important: we advise you on how to get there - we find the cheapest flight connections and ferries for you, which we can also book for you upon request. Authenticity at upon arrival: our "reception committee" speak mostly German, Italian, and often English as well, which reflects Sardinia's transformation into modernity in less than 50 years. We are pleased to introduce you to Sardinians who not only know the customs and traditions of their island but live and love there. The Sardinian cuisine is simple yet refined and cooked fresh with ingredients from the field. 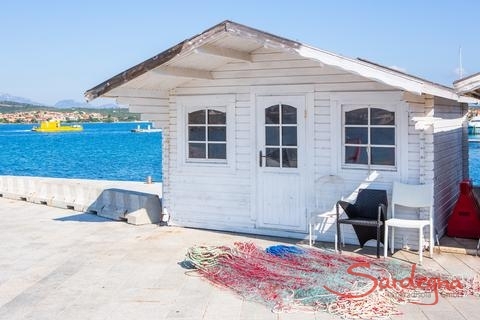 On your table may be freshly caught fish, crustaceans, shellfish, and other seafood as well as grilled dishes and, of course, pasta in all its forms, such as the Sardinian homemade ravioli. Shopping in Sardinia does not have to be expensive. In our manual we recommend Sardinian delicacies as well as alternative sources of goods in the area: from farmers, at the weekly market, or privately—a basket filled with vegetables or fruit in front of the house will show you the way. Quality has its price. This also applies to holiday homes. Nevertheless, at times there are booking gaps that remain unfilled - these we offer at substantial discounts. They can be found every week in our "Specials" section. You can also browse the themed sections Pula, the Costa Rei, Villasimius and Li Conchi. 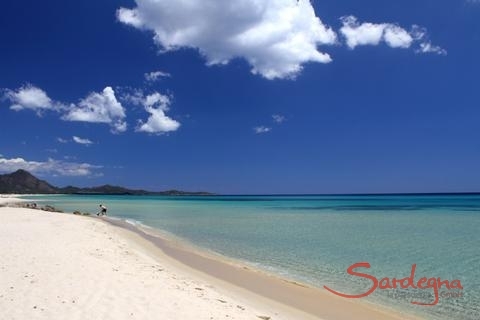 Discover news from the island on our Facebook page Sardinien-Fan and on YouTube.